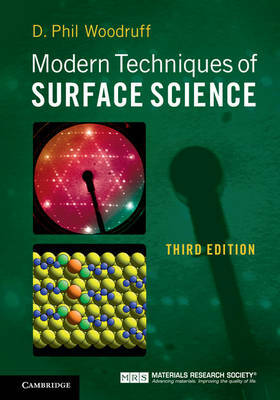 This fully revised, updated and reorganised third edition provides a thorough introduction to the characterisation techniques used in surface science and nanoscience today. Each chapter brings together and compares the different techniques used to address a particular research question, including how to determine the surface composition, surface structure, surface electronic structure, surface microstructure at different length scales (down to sub-molecular), and the molecular character of adsorbates and their adsorption or reaction properties. Readers will easily understand the relative strengths and limitations of the techniques available to them and, ultimately, will be able to select the most suitable techniques for their own particular research purposes. This is an essential resource for researchers and practitioners performing materials analysis, and for senior undergraduate students looking to gain a clear understanding of the underlying principles and applications of the different characterisation techniques used in the field today.